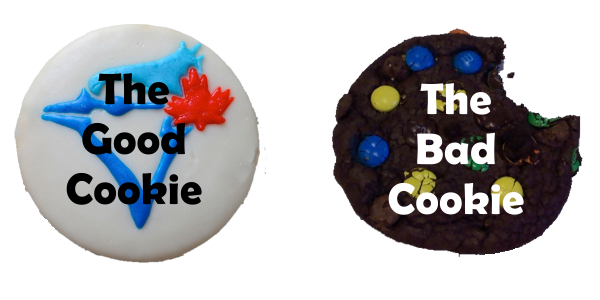 First it is important to note that a cookie, contrary to what the name suggests is just a text message that a Web server sends to a Web Browser. 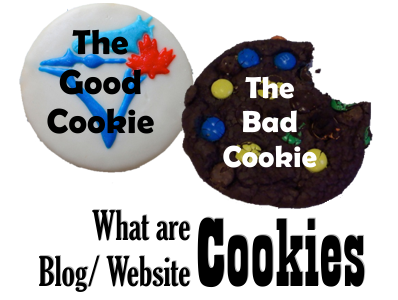 To understand why we need a cookie, I think we need an example. Keeping cookie in mind let us have an example of an ice-cream vendor (mmm.. desert). The vendor has a shop where every day scores of people visit and buy ice-cream from him. His store has just about every flavor under the sun. Little Sam and Susie have been coming to the store for the last 2 weeks. Their mother had once handed out a list to the vendor about the things Sam has allergies to. Sam can eat only chocolate with sprinkles and Susie likes plain strawberry. Whenever they approach the store, without asking, the vendor begins to prepare the ice-cream cone beforehand. Why? After seeing them at the store for so many days, he knows their likes and dislikes. He knows that Susie will not eat anything other than strawberries and Sam will not have anything without sprinkles. So he modifies any order given to him likewise. This way Sam and Susie always get what they like. In our story, the recipe given by their mother is a cookie (Not an actual cookie but the internet one). 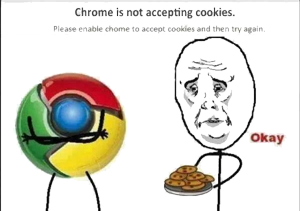 The cookie does the important job of giving information of the preference of a particular browser, thereby helping it display content that is relevant to the visitors. The vendor would never give Sam anything listed on the paper that his mother gave. Hence Sam and Susie will always be happy and revisit him every day. The Design of a website is important in terms of visitor experience. Your blog is adorned with awesome layouts and dynamic and slider templates with exquisite patterns (Chosen in consultation with a design professional). But in the end, what matters is "Does the User likes it?". Similarly, in the internet world, preferences and personalization often matters. When a mail that you receive has your name on it, you are bound by curiosity. When a commerce website offers you range on cheap shoes you are delighted because that was what you were searching few hours ago. In short, cookies help you get a really personalized experience from a generic website and that is what gives you an edge over your competitors. It might even reduce your bounce rate (though bounce rate are not that important)or keep visitors longer at your website leading to higher revenue. Even you can check about the cookies stored in your computer with some simple steps. This one gets deleted once the browser is closed. They cannot collect information from your computer and is stored in temporary memory. Hope you've understood the concept of Cookies. If you have any more questions, Drop it in as comments, we'll update. Matt Cutts in his recent post took out all his artillery and beat down on Guest posts warning or so to say cautioning publishers and webmasters to stop using Guest posts as a link building exercise (Though he Himself used it). The Article was a real marvel but what it lacked were clear instructions. He reminded web owners that the websites with high quality guest articles would be exempt. But, there is no tangibility towards High Quality. What if the article is of better quality or of good quality? So here are some instructions for webmasters to determine if they should allow a guest post on their blog or not. First enforce a really tight filter on which guest posts to accept. In short publish only the best of Guest posts. When you target the best, you might not come under Matt's Purview. 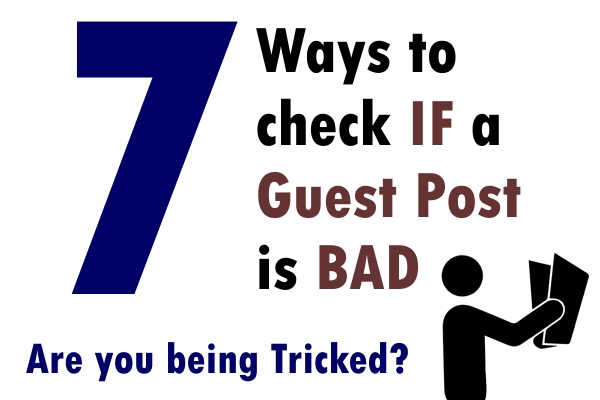 Wordstream.com came up with a really weird strategy, asking publishers to not label Guest posts as "Guest Post". Empirical evidence for its working is not available but logically, it still makes sense. Any Webmaster aiming to be one of the top players of the internet world knows that External links and Internal Links play a pivotal role in determining the PageRank of the website. 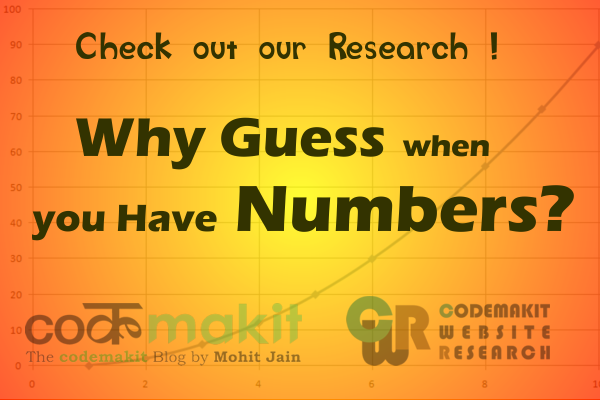 So site owners write guest posts for high page rank websites. Not for the information but for the links. But does the article you receive rely on making relationships or bringing back traffic? If yours is not a personal blog, it is understood that the articles posted would be pertaining to a single topic or revolve around a topic. If tomorrow you receive a mail saying how awesome your site is or how amazed they are with your blog and would like to add something to it, ask them what they are writing on. If it’s a topic away from yours, decline respectfully. This one is an understood one, If someone offers you some text for publication you would first check if it has not been plagiarized (You know there are some pretty good blogs around there). 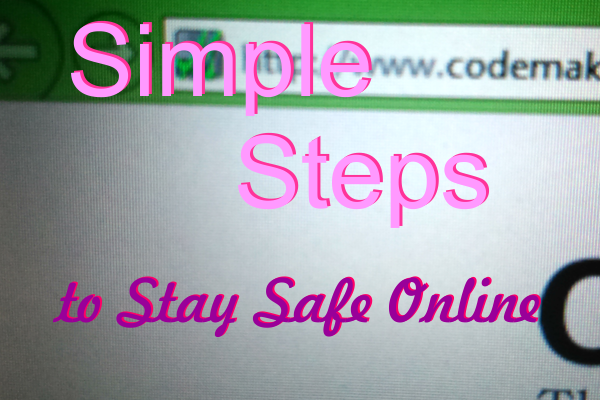 Simple steps to check are taking a snippet and Google it. For a more detailed method you can check out this Duplicate Content tool. The information sent by them should be synonymous with your website's content. It should cater to Google's Quality Guidelines. If you use blogger, it should be conducive to Blogger's content policy. All the more it should not try to pull visitors away from your website (Might be selfish). It should not promote itself; rather it should just provide quality information. Grammatical and semantic errors should also be checked. One comment at Matt's Blog always inspires me. It said, "Before you agree to post some one's article on your blog, try and answer this question, Was the article written for your readers or for a search engine". I feel this point will always help you when you're confused. With the advent and increased participation in hacking and phishing attempts, one must be sure to be safe. A busy blogger (obviously not a potato blogger) or a workaholic designer or an innocent professional who thinks that the web is safe enough is obviously and blatantly mistaken. The terms Online Privacy, cookies and IPs are being popular day by day. Staysafeonline.org celebrates world privacy day on 28th January too. So one must learn to retain their information and stop it from falling into the hands of bad guys. What do you do? Obviously a request on your Facebook page or personal blog will not deter the shady guys wearing a sly grin. (Notably this actually worked against spammers at codemakit when they were informed about Nofollow attribute.. digress..). So one must employ a better and sometimes more sophisticated way of hiding your personal data. Why do we need to hide our data? The answer can be very well explained to you through a rhetorical question. "Why do you keep your bank passbooks and checkbooks safely? Or why do you keep your credit cards, super safe?" Simply because there are chances of such things being misused and in most cases against you! The criminal can go to your account enter your email address and click "Forgot password". Now the website on receiving such request will innocently reset the password and send a new one to your mail. Only catch is that the cyber criminal has access to your email address. He/she can wreak all kinds of havoc on your life by messing with your online persona. Usually the popular ones include accessing your social network and posting a vulgar video or an obscene picture or a hilarious yet defaming comment about yourself like "I am coming out of the closet now!" or some other less subtle messages. But the ones which do not make the headlines are the sudden loss of a large amount of money from a bank account. Even less reported are the cases of Blackmail. 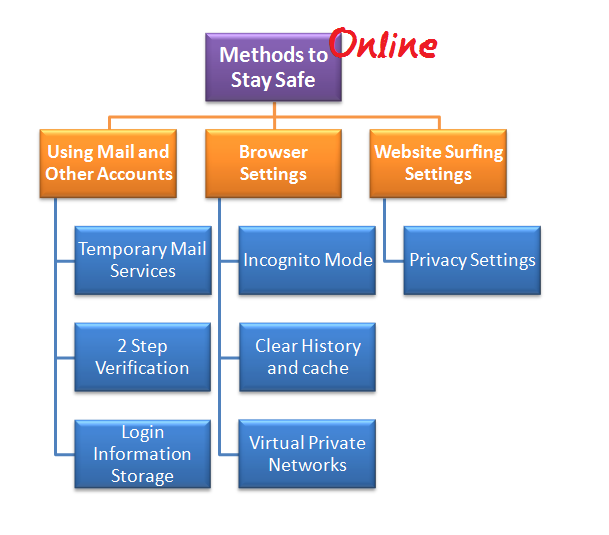 In Order to Avoid hassles and to stay super safe, outlined are a few steps that your must follow to keep yourself safe online. remember better safe than sorry! So lets go through the process once. 1. Keep your accounts close! You might have many accounts at various websites, but do you know how to keep them safe. How to prevent your login information from a previous article where some offline methods are discussed to store your Usernames and Passwords. 2. But your Email closer! First and foremost just as the above example depicted, You must first take control of your email. Conventional emails offer simple username password security out of which username is always known to people. You just rely on your password to keep your account safe. The password might be really long and extremely convoluted but in the end it is just a combination of characters (You would be shocked if you find how simply websites store usernames and passwords). If you are using Gmail (If you're not See a complete list of features of Gmail) kindly opt for Google's two step protection. You will have to provide your mobile number for the same and if you're logging-in from an unknown computer, you will receive a code from Google as a text message which forms the second step of protection. Without entering the code you cannot go further. Some email service providers also provide an arrangement for two passwords, which is not as effective as Google but it does the job doesn't it? 1. Guerrilla Mail is know to scramble the address too. It Updates the inbox in every 10 seconds and exists for about 12-15 minutes after which it vanishes. 2. The 10 minute mail obviously exists for 10 minutes and then disapears. Until then you will recieve mails to your temporary inbox. 3. Get airmail has one blatant advantage over every one of its competitors, there is no time-limit to your inbox. The mail will remain valid indefinitely until and unless you close your browser. 4. Yop mail is one of the most trusted providers among its competitors. You can even name your own email which would look more authentic than a bunch of randomly generated numbers. But websites have their own ways to check. so sometimes the method does not work (maybe 5-10%) If you do not want such hassles of visiting the site again or creating a new one every time you need something, It is better You create a permanent mail which will hold all your junk emails. This mail must have really simple username with an even simpler password which can be recalled any time you need. Even if it is hacked, It will be the hacker's loss and not yours. There are cases when you need to employ security tactics at the root of internet surfing, i.e. the browser, It is the application which actually transforms your request and returns with a webpage. So, how fo you safeguard your browser? Firstly, your browsing history, stored cookies, passwords(important ones), and other information that the browser has stored for your luxury; in one word; DELETE. The above elements stored ina browser are one of the richest source of information about you. Your cookies, browsing history tell a lot more that you could ever tell in a day. Also remember to disable chrome autofill settings. A regular deletion of such information will provide you an assurance of "My browser has nothing you can steal, (The Mojojojo Laugh)". Secondly If you're really cautious, You must operate your browser in the famed incognito mode. Nearly every browser offers an incognito mode where none of your personal data or browsing activity will be stored in the computer. So you don't have to come back and delete the stuff again. 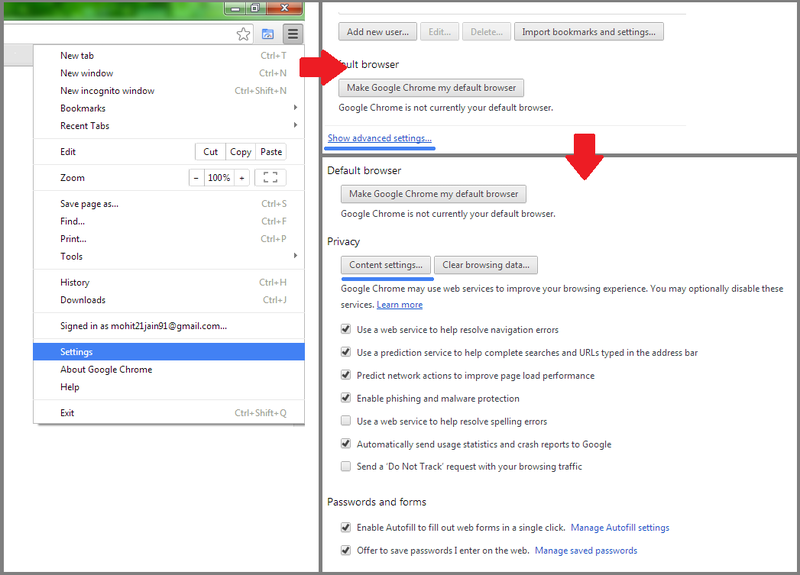 Usually the incognito mode(as Google Chrome Calls it) can be found in almost all browsers and can be activated by a shortcut key combination. Here are the list of browsers and Shortcut key combinations. You Can even surf cautiously. For places where you cannot afford to make a mistake, you can use a proxy server, where you hide yourself and then browse it is comparable to wearing an armor and going to war. Geeks are often known to use VPN or Virtual private networks, a discussion of these methods is beyond the scope of the article. However you may find information at PCWorld or at Howtogeek. Information on IP Masking can be found at whatismyipaddress. Note. If missed a step or if you know any better method, just post it in the comments section. Corporates and institutions often accept information from public through online forms. The best (Non Google) form creation websites have already been discussed which do provide a lot of facilities. Often the best of them are disguised behind the paid ones. These are mostly inaccessible to the general web owners as the professional ones need a note for shelling out money from their firms and the freelancers just don't have the money. One such facility is the automated response which one receives after he/she has filled up an online form which might say "thank you for your responses" or something. The facility, though available on Google docs is not readily available. You would not see fancy buttons to facilitate your auto responding form. So, you'll have to do it yourself. For this purpose an app needs to be created. The app will obviously have a script. but fret not, as most part of the script is already filled by Google. you just need to add a small snippet and your work will be done. Following are some really simple steps with instructive screenshots which will help you create an auto responding form which has the ability to send emails to the filler. But, do read the special note so that things go smoothly. Firstly you need to create a form at google Docs. The form creation has been explained pretty clear article at codemakit. Now assuming you are accepting the responses in a google spreadsheet, You then need to open the spreadsheet where the responses for the form are stored. You will land on the Google Script Window where you need to select, which script do you need to create. Since we're creation a script for a spreadsheet, click spreadsheet. A scipt will then be visible to you. Do not modify any code, Just add another piece of code given here. Edit the code to your wishes, Do check the notes to understand the functioning. One must understand the intricacies of the code and not use it mindlessly. formSubmitReply is a function, which handles events, this is the function that initiates the action. It has a parameter 'e' which basically is an array filled with values. Have a look at your spreadsheet containing responses, First one will always be the timestamp. If your table consists of 2 questions, ie.e 'Name' and 'email' address, you will have to put the array value as e so that the app would know where to send the response. Also the name of the sender is taken as "help desk" Which can be changed to suit your needs. Now you need to set a trigger for the script you just set. Click on resources menu and select "All your triggers". You will see a window stating all your triggers, Click on "create new", which will create a new trigger instance. Select values from the dropdown window as is done in the screenshot below. You might be presented with an authorization window where you need to click yes to go forward. Once you've authorized the app. Your form will start sending automatic responses to anyone who fills your form with an email address. 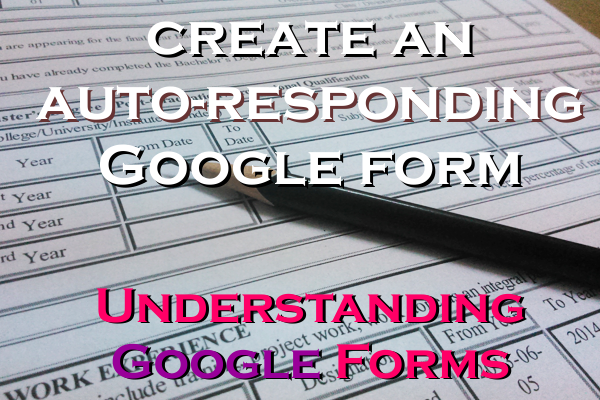 Need help creating a form using Google Forms, Try this. The web is filled with articles to double your website visitors. 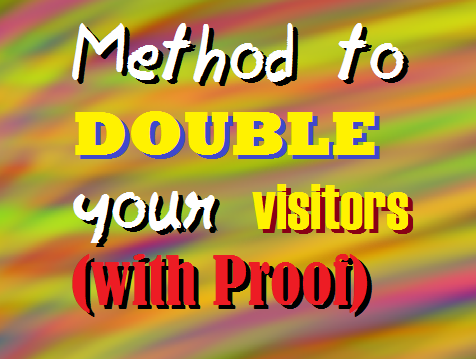 Every now and then a new blog post comes up claiming that it has found out the golden method to double the existing visitors on your blog. The truth is, there is no magical sure-shot way of increasing visitors, where you can finger some buttons, chant a magical hymn and behold! 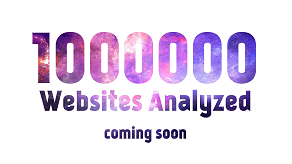 Your site is swarming with visitors! So how do people manage to get millions of views per month? And how do they claim to have a bounce rate of less than 40%? The answer lies in simple methods and techniques that most people do use, but not properly. 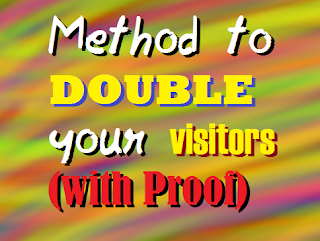 Here you will be presented with a method to double your visitors. This is no banal post with a list of thinks you should do for higher pagerank or a list of faults in your SEO practices. This is based on a simple mechanical technique, i.e. Smooth posting or regular posting with regular intervals. You will also be presented with proof that the technique works and sometimes even more than you expected. The method is simple enough. You have a habit of posting an article whenever and wherever you like, But that will have to stop. You are no longer a master of your free will, but a slave of Google algorithm and your visitors. You will have to post regularly and punctually. The first step includes, Setting a timetable for your blog posts. Complete timetable for different type of bloggers is discussed in previous post. Learn More at a previous article on time schedule for the Ideal Blog based on your need. One that should not be altered at any cost. Following are some examples for posting frequency based on the expected growth of your blog from a previous article on when you should post an article on your Blog. Here are the results from Blog X where such technique was applied. The total visitors in a month barely reached 4,000. 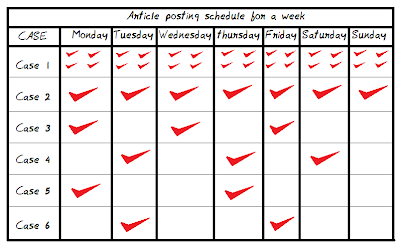 As per the ideal blog posting schedule explained in a previous article at codemakit, Case III from the ideal Blog posting table was applied on the blog. 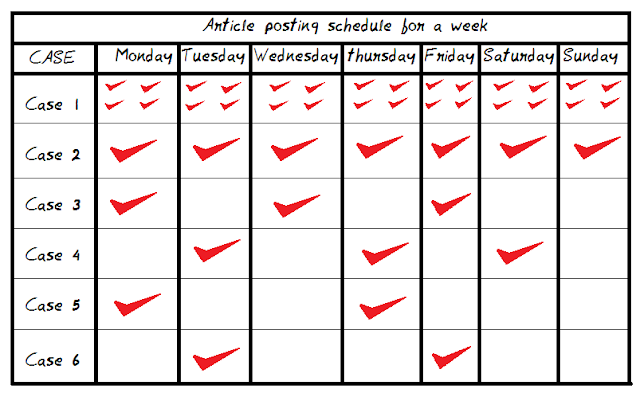 According to the contents of the particular case, the blogger is supposed to post an article 3 times a week, following a Monday-Wednesday-Friday schedule. As per another article on codemakit referring to the ideal blog posting time for a blog, the blog posting was scheduled at 4:30am. The following are the statistics for the blog after applying the method for about 20 days. Another change was observed in the social media. The Facebook page of the blog too witnessed a phenomenal increase in the audience. However the changes took place in about 20 days after employing the schedule. As is evident from the screenshot below, the Facebook audience increased two folds. The above three were applied on the Facebook page with visible results. You must remember that a really long interval in between two posts might result into an obituary of your blog. 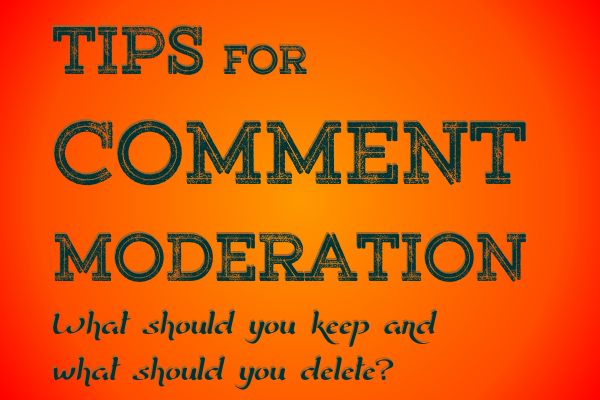 Tips for Comment moderation, what should you keep and what should you delete? Any proven website would always feel the wrath of comment spams. The secret would always be a powerful comment moderator which blogger does provide, thankfully. How would you protect your Blog's image from comment spammers. Nevertheless, they do not have any meaning whatsoever and does not add to the content on the page. It is always better to remove them as they would distract your readers and speak lowly about your comment moderation practices. The spammer writes up a comment which is in reply to a previous comment. But there is just one problem; there was no previous comment in conjunction. The spammer just replies to a so called ghost with its usual trickery. People indulge in this type of comments because they’re of the opinion that replies to comments are overlooked during moderation or they’re treated with leniency because they are replies. Such comments must be removed and even the original one if they do not make sense. The following comment was found in the article answering "What happens when I do not post for a week"
It is not difficult to differentiate the ‘Good Job’ comments from a spammer and an actual loyal visitor. A legitimate Good Job comment will be sans any link in the name and in the text. Such comments though are hard to find but prove to be a real support and motivation to the author. Finally, that is what counts. The spam or link is hidden under what looks like helpful text. Let us take an example, You’ve just written an article on a burger recipe and you receive a comment which reads like this. The comment looks harmless at first but when you delve deep enough you find it is a spam to promote the ‘Fisher’s’ brand. Such comments can be removed if you like but it does not come under high priority as it still give meaning to your page and presents new ideas and materials. Until and unless the link provided in the comment is not of a defaulter, you’re good to go. To promote a brand the spammer must remember to attract the readers towards his comment. So what do they do to lure the readers? They use some really serious words in it. The ultra-serious words may include, ‘death’, ‘gore’, ‘funeral’, ‘blood’ etc. Which means anything which will make the readers read the comment? (Note. It was because of these four words which forced you to read this particular paragraph). The ultra-serious isn’t limited to such scary words, negative words would give the same impact (like the word ‘disgrace’ in this particular example). Neuro-Science Marketing website previously mentioned the dark side of Reader Comments, you should try and have a look at it. These are the newbies in spams, their comments start with ‘I've been looking all over for this type of article’ and end with ‘I will share this everywhere’. Some even go to the extent of saying they missed reading such informative articles. They only thing they attach with the last line is a train of hyperlink words corresponding to their business. Since you can very well determine this is a spam, you wouldn't even receive them anymore because of your blogging platform’s comment policies which will filter them before the’re published. BuyBestpendrive.com says: I like your article, it’s so informative!! The comment author’s link is not that harmful as a link in the body. If you’re a strict blogger you can moderate such comments as they do no good and would gradually use your own link juice. Otherwise you can use NoFollow in your comments and leave them be. You can add a noFollow to your comment space also. Read the second part of the article on comment moderation and get some awesome tips against comment spammers! Following the footsteps of facebook, pinterest and google+, Twitter too has started its new service known as report abuse. Though the feature of report abuse had already been started in the iOS app, twitter has now officially started the service on the desktop version. The move was made by the micro-blogging site after it witnessed a surge of users demanding the option. This came after two journalists India Knight and Laurie Penny received death threats on twitter. Tony wang, the General Manager of Twitter UK, agreed that the threat was “Simply Unacceptable”. 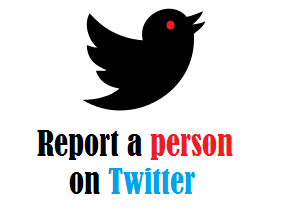 When you report a person, what happens? If someone is sending a person violent threats. Twitter’s own article against abusive behavior enlists some points which can help users understand the situation better. The micro-blogging website urges users to first understand twitter and what it does. Next it wants us to consider the context and goes on to explain that the individual tweets can be confusing and it is possible the tweet you consider offensive might be a part of a long conversation. Try to understand the history of your tweets, which people stopped following you suddenly etc. Also the support page urges users to think before they tweet and if they find someone or something offensive, They are always welcome to block the person and ignore the tweet. But what should you do when the situation has gone too far? Like US Government's Stop Bullying, National crime prevention center, Cyber bullying research center and connect safely. "This article is dedicated towards bullied innocents who now have something to smile at." The previous article spewed fire on the need for having an app for your precious website. Here we'll discuss the concepts you can use to create a new app from your already functioning website. According to data from mobithinking, currently 1.3 billion consumers are using android, this figure is expected to rise to 4.4 billion by 2017. As per Neilson report, huge number of people are now shifting towards mobile smartphones. An april Google Survey, show that people preffer mobile web than websites. 56 billion smartphone apps will be downloaded in the year 2013 as per ABI Reseach. Portio Research, however suggests that the revenue from app downloaded will increase to 64.5 billion in 2017. Now that you are on my side in creating an app, lets widen your horizon and see the different types of apps you can create. 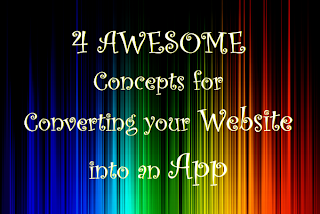 Lets have the four types of apps web developers always want for conversion. A re-directional app on the other-hand, functions in a completely different way. For an app, the user just has to toil for once, i.e. during the installation of the app. After that, the person just has to click on the app in his phone and boom! your website, his smartphone, a match made in heavens. Regarding the concept an app is usually known for its functionality. A website however is not. Other than a functional app which obviously provides a service, you can always go for the simple website redirection app. which opens a separate platform for viewing your website that too without opening the browser. This is applicable for podcast based websites too (like websites which host video clips or music composings) where users can select and view a video. a very nice example is the khan academy app, where separate videos are hosted for students to listen and learn. Let us take the example of Mashable.com, an extraordinary website with huge connections and overflowing articles. What does it need, you ask? "I want to conquer the world" would be its answer. Why would an otherwise fabulous website need an app for. But they do have one, for the obvious reasons mentioned in the previous article. The app readily transforms into a full blown article based website which obviously relies on your ability to make a selection and touch. 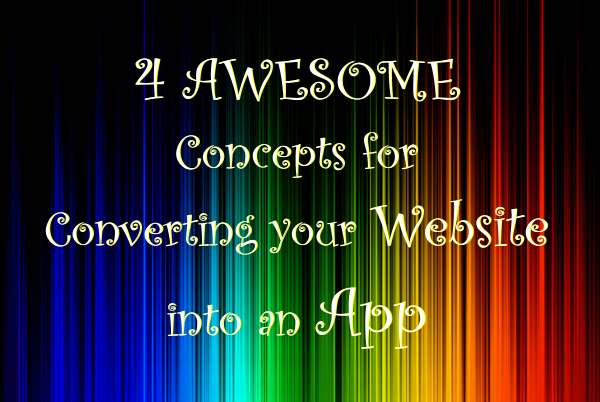 Another type of app is the one using a website and converting into an app. with separate functionality for buttons, image viewings and feedback systems, throw in a couple of simple games and you've got yourself a real winner. One really good website converted into an app is NDTV.com. The website is one of the most popular and trusted sources of latest news. let us look at the app. Other than website redirection and functional apps, there is a third type of app not very common but is still present. The particular app downloads content from the website and reads it aloud with the help of an inbuilt reader software. The app is particularly useful for commuters who do not have enough time to read or are unable to read. and prefer to listen to the article being read aloud by someone while on a bus or train. If your website is an insanely popular one with a lot of people backing it and a bucket load of fans just waiting for a piece of it. you can create a theme based app. The theme consists of just duplicating the css style of the website into a theme pack which can be installed on any android or ios device. In short, your website structure and content is sooooo good that people are dying to replicate/copy it on their phones.